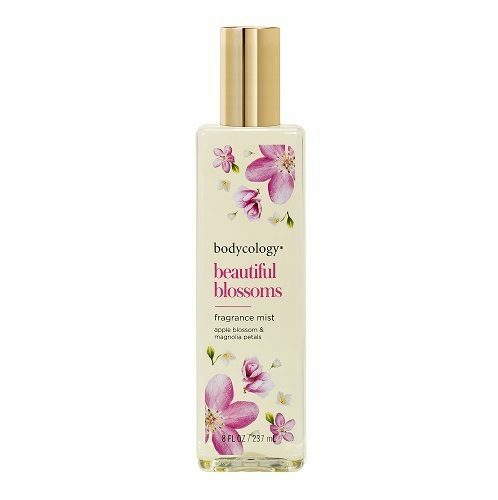 Beautiful Blossoms Fragrance Mist | 8 oz. 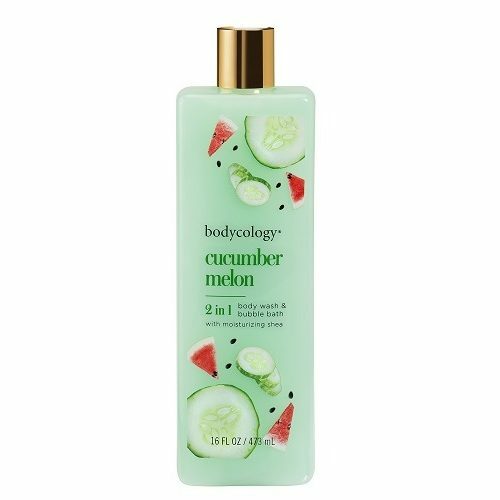 Cucumber Melon Fragrance Mist | 8 oz. Pink Vanilla Wish Fragrance Mist | 8 oz. Island Beach Paradise Fragrance Mist | 8 oz. Pink Vanilla Wish Body Cream | 8 oz. Beautiful Blossoms Body Cream | 8 oz. Island Beach Paradise Body Cream | 8 oz. Cucumber Melon Body Cream | 8 oz. Pink Vanilla Wish Body Wash & Bubble Bath | 16 oz. Island Beach Paradise Body Wash & Bubble Bath | 16 oz. Cucumber Melon Body Wash & Bubble Bath | 16 oz. Dark Cherry Orchid Shower Jelly | 8 oz. Cherry Blossom Shower Jelly | 8 oz. Coconut Hibiscus Shower Jelly | 8 oz. Sweet Love Shower Jelly | 8 oz. Coconut Hibiscus Bath Fizzies | 8 ct.
Cherry Blossom Bath Fizzies | 8 ct. Dark Cherry Orchid Bath Fizzies | 8 ct.
Sweet Love Bath Fizzies | 8 ct.
Sweet Love Fragrance Mist | 8 oz. Dark Cherry Orchid Fragrance Mist | 8 oz. Cherry Blossom Fragrance Mist | 8 oz. Sweet Love Body Cream | 8 oz. Pure White Gardenia Fragrance Mist | 8 oz. Truly Yours Fragrance Mist | 8 oz. Toasted Sugar Fragrance Mist | 8 oz. Coconut Hibiscus Fragrance Mist | 8 oz. Dark Cherry Orchid Body Cream | 8 oz. Cherry Blossom Body Cream | 8 oz. Twilight Mist Fragrance Mist | 8 oz. 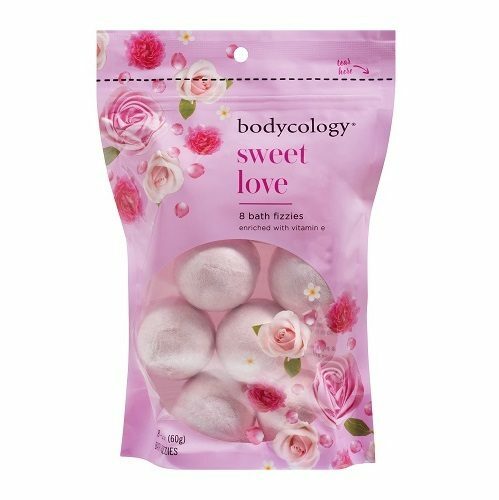 Sweet Love Body Wash & Bubble Bath | 16 oz. Truly Yours Body Cream | 8 oz. Pure White Gardenia Body Cream | 8 oz. Sweet Pea & Peony Fragrance Mist | 8 oz. Toasted Sugar Body Cream | 8 oz. Petal Away Fragrance Mist | 8 oz. Scarlet Kiss Fragrance Mist | 8 oz. Dark Cherry Orchid Body Wash & Bubble Bath | 16 oz. Coconut Hibiscus Body Cream | 8 oz. Cherry Blossom Body Wash & Bubble Bath | 16 oz. Truly Yours Body Wash & Bubble Bath | 16 oz. Coconut Hibiscus Body Wash & Bubble Bath | 16 oz. Toasted Sugar Body Wash & Bubble Bath | 16 oz. Pure White Gardenia Body Wash & Bubble Bath | 16 oz. Scarlet Kiss Body Cream | 8 oz. Petal Away Body Cream | 8 oz. Sweet Pea & Peony Body Cream | 8 oz. Twilight Mist Body Cream | 8 oz. Cherry Blossom Bubble Bath Bar | 3.5 oz. Sweet Love Bubble Bath Bar | 3.5 oz. Coconut Hibiscus Bubble Bath Bar | 3.5 oz. Cherry Blossom Body Lotion | 12 oz. Sweet Love Body Lotion | 12 oz. Dark Cherry Orchid Bubble Bath Bar | 3.5 oz. Twilight Mist Body Wash & Bubble Bath | 16 oz. Coconut Hibiscus Body Lotion | 12 oz. Cherry Blossom Hand Cream | 2 oz. Coconut Hibiscus Hand Cream | 2 oz. Sweet Pea & Peony Body Wash & Bubble Bath | 16 oz. Petal Away Body Wash & Bubble Bath | 16 oz. Scarlet Kiss Body Wash & Bubble Bath | 16 oz. Spread the beauty of a blooming garden with the notes of magnolia petals and apple blossoms in Bodycology’s® Beautiful Blossoms scent. For a splash of fragrance and energy, spritz lightly on wrists, neck and shoulders – or for all-over freshness, spray into the air and let the fine mist gently surround you. 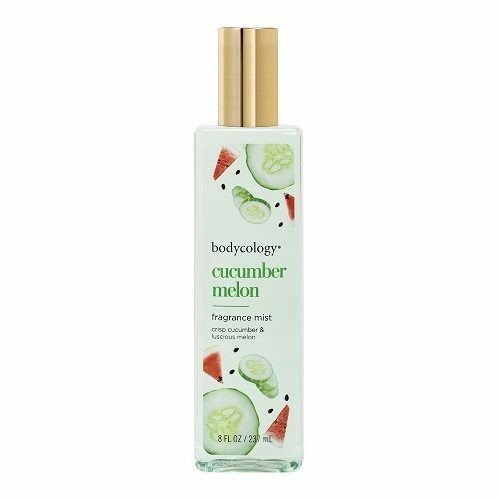 Bodycology’s® Cucumber Melon scent is a refreshing blend of crisp cucumber and luscious melon. Embrace your heart’s wish with the sparkling blend of warm vanilla, almond and pink peony in Bodycology’s® Pink Vanilla Wish scent. Find your beach bliss with the notes of sea breeze, coconut and tropical fruits in Bodycology’s® Island Beach Paradise scent. Formulated with a rich butter complex containing Shea, Cocoa and Jojoba butters, this luxurious cream leaves skin feeling soft for hours. Simply smooth over skin, giving special care to dry or rough areas. Bodycology’s® 2 in 1 Body Wash & Bubble Bath delivers luxurious fragrance in both bath and shower. Enriched with Shea Butter and Vitamin E to leave skin feeling cleansed and moisturized. Body Wash: For a cleansing wash, apply to hands or sponge and lather over wet skin. Rinse Clean. Bubble Bath: For a luxurious bubble bath, drizzle under warm running water until you reach your desired amount of bubbles. Add a splash of fun to your cleansing routine with a Bodycology® Shower Jelly! This fragranced soap with skin softening Shea Butter leaves skin feeling clean, moisturized and beautifully fragrance. 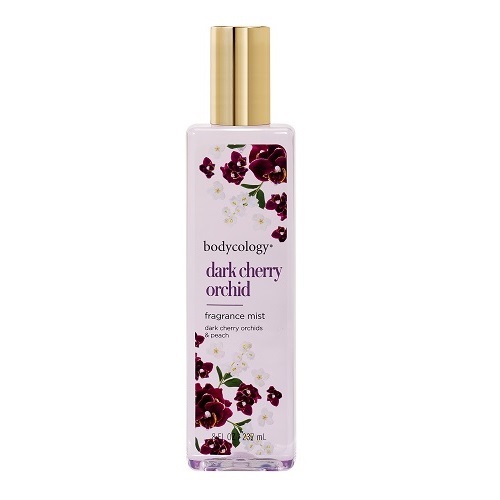 Bodycology’s® Dark Cherry Orchid scent is a flirty blend of dark cherry orchids and luscious Empress peach. Scoop out your desired amount of shower jelly from jar and apply to wet skin. Lather in a circular motion and rinse clean. Just like soap, shower jelly also works well when used with a wash cloth or shower pouf. 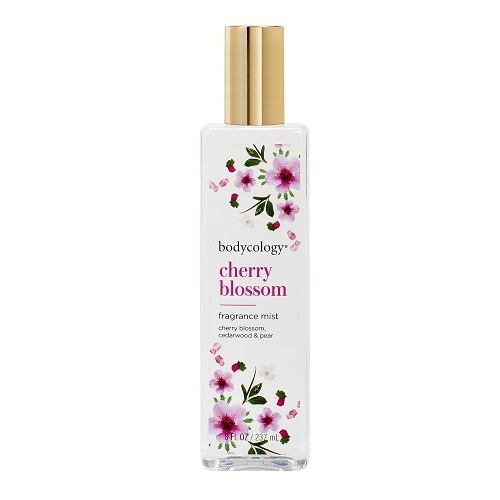 Enjoy the blissful and radiant scent of blushing cherry blossoms with Bodycology’s® Cherry Blossom scent. 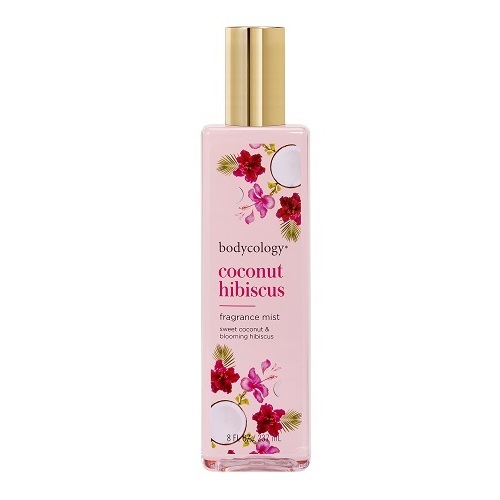 Bodycology’s® Coconut Hibiscus scent is an exotic and enticing combination of sweet coconut and blooming hibiscus. Indulge your feminine side with the delicate fragrance of whipped cream and sweet rose in Bodycology’s® Sweet Love scent. Enjoy a fragrant soak and wish upon a star with Bodycology’s® Pink Vanilla Wish Bath Bomb. Embrace your heart’s wish with the sparkling fragrance blend of warm vanilla, almond and pink peony. Remove outer plastic wrap and add bath bomb to warm bath water to enjoy. Tip! For the most fizz, use shortly after purchase. Soak as if you’re seaside with Bodycology’s® Island Beach Paradise Bath Bomb. Feel as fresh as summertime after a soak with Bodycology’s® Cucumber Melon Bath Bomb. 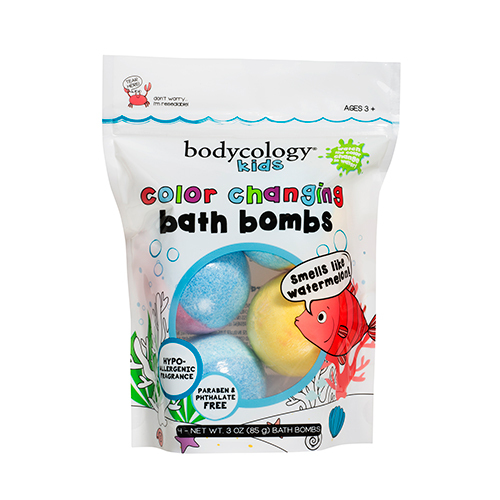 Enjoy a fragrant, moisturizing soak with Bodycology® Bath Fizzies. Each fizzy adds fragrant effervescence to your bath, while delivering skin moisturizing Vitamin E.
Prior to use, remove outer plastic wrap from each bath fizzy. Add 2 bath fizzies to warm bath water and enjoy! For a more personalized and more colorful bath, mix and match your favorite scents. Tip! For the most fizz, use bath fizzies shortly after purchase. 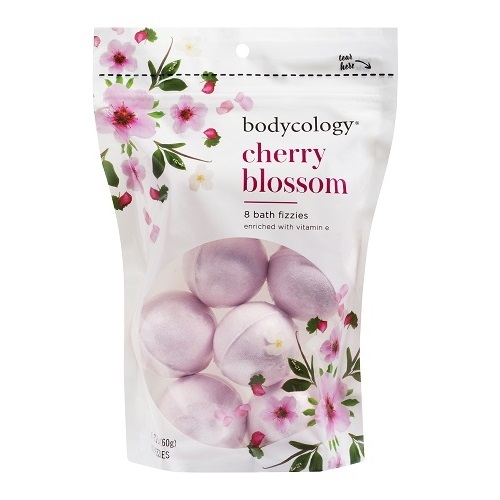 Experience the blissful and radiant scent of blushing cherry blossoms with Bodycology’s® Cherry Blossom scent. 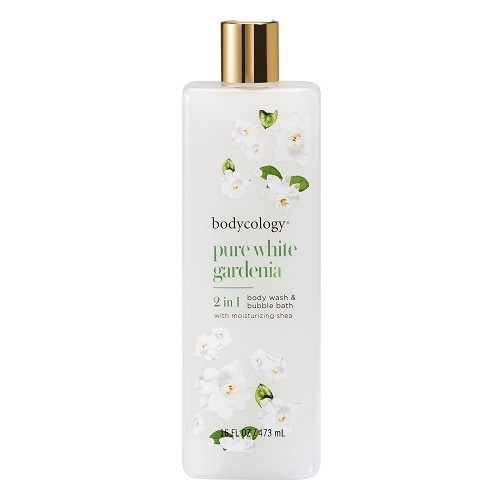 Promote love, peace and good spirits with the rich, floral notes of fresh gardenias in Bodycology’s® Pure White Gardenia scent. Bodycology’s® Truly Yours scent combines sweet freesia, lilies, and musk to create a fragrance that is forever yours. The warm blend of vanilla, brown sugar and sensual amber creates the cozy, comforting scent of Bodycology’s® Toasted Sugar. Bodycology’s® Twilight Mist is a soft blend of coconut, violet and creamy musk with vanilla. Bodycology’s® Sweet Pea & Peony scent is a vibrant blend of sweet pea and peony with notes of juicy pear and wild berries. Create a dream getaway for your senses with the notes of mixed berries and fresh petals in Bodycology’s® Petal Away. Turn heads with Bodycology’s® Scarlet Kiss and the intoxicating scent of rich pomegranate, luscious peach, and warm vanilla. Sprinkle a little magic into your bath with a Bodycology® Bubble Bath Bar. Each bar delivers luxuriously fragranced bubbles and a little added fun. Prior to use, remove outer plastic wrap. Crumble bar under running water until desired amount of bubbles are created. For best results, add to bath as soon as you start to fill the tub. 1-2 uses per bar. 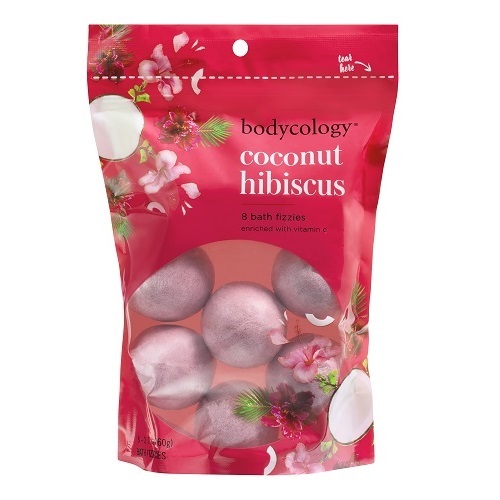 Bodycology’s® Coconut Hibiscus is an exotic and enticing combination of sweet coconut and blooming hibiscus. Bodycology’s® moisturizing body lotion leaves skin feeling luxurious with Shea Butter, Aloe Vera, and Vitamin E.
Whenever your hands need some love, apply Shea butter hand cream to moisturize and soften. Each Bag Contains 4 – 3 oz Bath Bombs! Remove outer plastic wrap and add bath bomb to warm bath water. Please always supervise children during bath time.